I put together a random scene just to test the SDK and I'm loving it. I'm considering expanding this to a full single player mission. So this is the few scans of arizona/nevada desert i took from google earth + an elevation data from Nationalmap.gov and quickly combined them together into a little scene, but there's a lot of work to be done obviously.I havent done any de-lighting yet and there's no detail textures in place to hide the blurrines of the main ones. Someone asked how i did the scanning on twitter. So the process is simple. You pick an object that you want to scan in google maps. 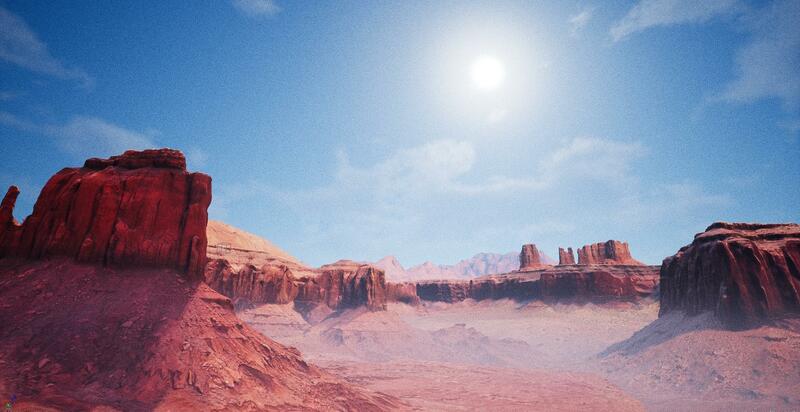 Then you disable all the interface, and fly a camera around that object, making about 20-30 screenshots. After all of that you do the usual thing in AgiSoft photoscan. This looks pretty interesting. So you get a textured 3d mesh after all, that could be used e.g. 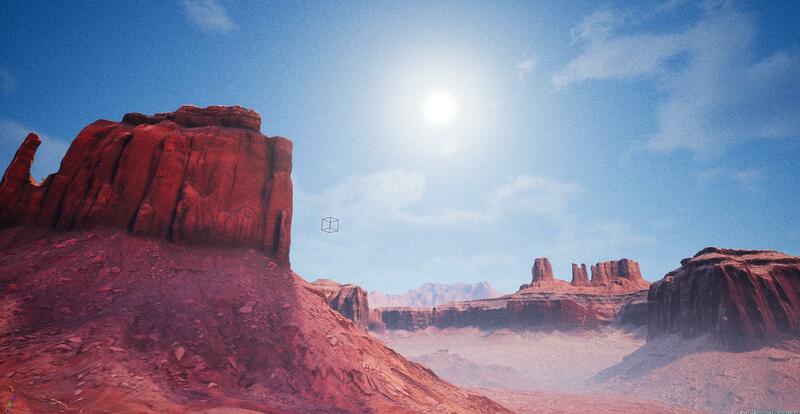 as a 3d skybox in a game, right? After all of that you do the usual thing in AgiSoft photoscan. But we are talking about a software that cost 3500$ if I actually want to use this feature and not just playing around a little (demo version), or am I wrong? 1. Yes, you can use it in the game, but you'll have to delight the textures somehow or just use 1 particular side of the mesh. 2. Yeah there's a 30 days trial. Probably not a big deal. What you have made there already looks pretty awesome. I hate these limited trials. Pretty good to find out if the investment is worth it, but frustrating when you already know that you can't effort to buy it in the end. Awesome @Corvus, this looks awesome. 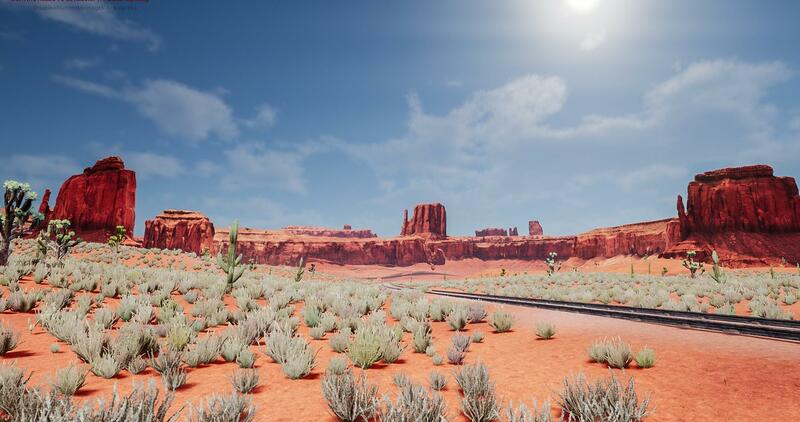 I think this would look totally legit for a skybox, otherwise great base to start I guess, or use for platforms like mobile where you want less heavy textures? Also is this actually usable, I mean does it break any EULA from google? For commercial use, yeah you need to license the data from Google. So I guess if you had it in a skybox of a map that goes in an operation you should redo it? More of the googlogrammety xD. 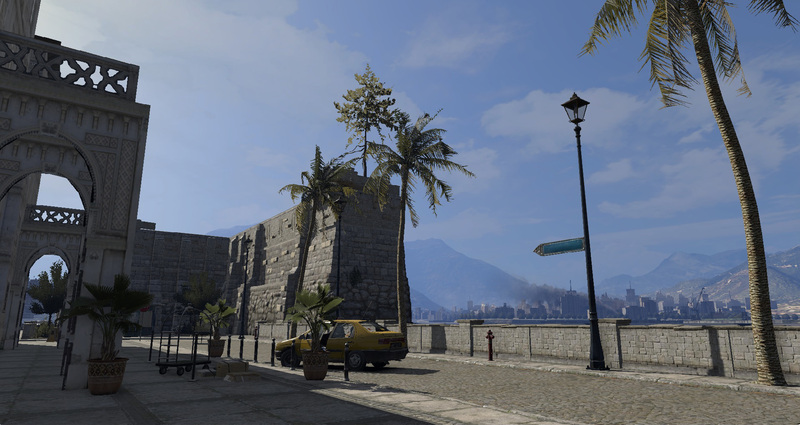 Working one a new bomb defusal map concept named de_burg (yes another one ). Credits for some of the light settings goes to Cattus which he used on his 'Inferno Dawn' map.